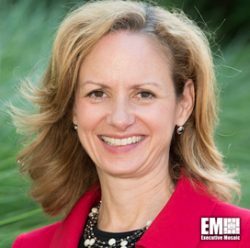 ExecutiveBiz spoke with Jennifer Chronis, general manager, Defense Department, about Amazon Web Services’ cloud offerings for defense and intelligence community customers, the pace of federal information technology modernization and what she sees in store for the future of cloud computing and adoption. ExecutiveBiz: With a successful career of sixteen years in the IT industry, fourteen of which have been spent servicing the federal marketplace, what insights can you offer about working with government customers? To be successful with government customers, you must be passionate about their missions. It’s critical to have a deep understanding of how they do business and understand how the capabilities you deliver can help them perform those missions more effectively. Having served in the Army for over 20 years, I am most passionate about helping our warfighters get the technology they need to thrive on the battlefield, maintain our technological advantage and defend our nation. Serving our government customers is really a calling of sorts, and it’s something I have always found personally and professionally rewarding. ExecutiveBiz: With your current responsibilities focused on DoD clients, how have you seen the agency grow and adapt to cloud migration? Cloud technology continues to be a major catalyst in how the federal government can achieve operational efficiencies and innovate on demand to advance their respective missions. That means solving problems faster, adapting to changing environments, dealing with sudden demand and adhering to the highest security standards. As a result, we’re increasingly seeing DoD organizations migrate to the commercial cloud. For example, use of the AWS Cloud brought about a cultural shift in the U.S. Air Force around delivering mission-critical software capabilities. Under tight budget and program schedule constraints, the Air Force chose to use commercial cloud for testing the service’s Global Positioning System, Operational Control Station (GPS-OCX), which would control the newest version of the DoD’s global positioning system satellites. The program’s engineers needed regular and reliable test environments to more rapidly test the software and to do so at scale, so they built test environments in AWS GovCloud (US). The U.S. Air Force’s GPS OCX program required 200+ dedicated hosts running upwards of 1,000 individual virtual machines, while also meeting the DoD’s unique compliance requirements. Not only did AWS meet the Air Force’s needs, but the Air Force also saw a 30 percent cost savings relating to storage and reduced software development time from three weeks to 15 minutes. ExecutiveBiz: How have you seen the passing of the Modernizing Government Technology Act in late 2017 impact the DoD? The Modernizing Government Technology Act cleared the way for a cloud-first approach to improving information technology systems across the entire federal government. However, Congress has been urging federal agencies to modernize their IT solutions for the last decade, and we’re encouraged by the many federal agencies – including the DoD — that are doing just that. While the DoD has had its share of policy and cultural challenges to overcome, we’ve been encouraged by the steps they have taken in recent years to adopt cloud across the enterprise. Organizations like the U.S Navy have proactively developed cloud-first policies, and major combatant commands like US TRANSCOM are aggressively moving workloads from on-premises data centers to the cloud. ExecutiveBiz: What benefits can federal agencies expect from IT modernization, and particularly from the cloud? First, one of the greatest advantages of cloud computing is enabling the government to use the latest innovations at a rapid pace. This agility provided by the cloud allows government agencies to deliver on their missions more efficiently and modernize their infrastructure without making substantial monetary investments up front. This ultimately enables them to undertake more projects, and to do so faster than they have before. Second, experimentation and collaboration drive innovation, and the cloud makes this practice readily accessible. Organizations are encouraged to embrace ideation and testing – and even failure. With the agility and speed of the cloud, agencies can quickly build, experiment and launch new services. Finally, our government customers are quickly realizing that migrating to the AWS Cloud is an opportunity to improve their level of security assurance and reduce operational risk. To enable extremely high security levels for our customers, we employ a robust set of security technologies and practices, including encryption and access control features that exceed government security requirements. These controls have resulted in our alignment and compliance with the U.S. government’s security and control requirements contained within FedRAMP and DoD Cloud Computing Security Requirements Guidelines. 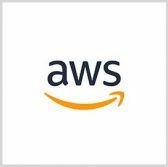 AWS is also the first and only commercial cloud provider to offer regions to serve government workloads across the full range of data classifications. ExecutiveBiz: Do you see a role for “shared cloud services” among federal agencies? It’s absolutely possible that federal agencies can benefit from shared cloud services depending on their specific needs with regard to information sharing. We’ve already seen a few agencies move in this direction, such as the intelligence community. In 2013, the IC worked with AWS to create the C2S Cloud, an Infrastructure-as-a-Service (IaaS) cloud designed for use across the IC’s 17 agencies. According to John Edwards, chief information officer of the CIA, the creation of C2S has led to improved security, better mission impact and cost savings thanks to reducing or eliminating maintenance associated with legacy systems. AWS is the only cloud service provider accredited to address the full range of DoD data classifications, including Unclassified, Sensitive, Secret and Top Secret. This allows the most sensitive mission workloads to benefit from the innovation and agility of cloud and simplifies training for DoD’s IT professionals, as training on AWS will help the DoD take advantage of the cloud across all data classification levels. Before joining AWS in 2016, Jennifer Chronis was the vice president of IBM’s DoD division. She is also a U.S. Army veteran with 21 years of service.